A Wegmans location in Charlottesville, Virginia. Since the 1950s, department stores like Sears and JC Penney have anchored suburban shopping malls. But hundreds of chains are expected to soon close their doors. Sears, an iconic mall mainstay, is shuttering over 300 locations in the US by the end of 2017, and JC Penney also recently said it will close 138 stores due to waning traffic and sales. Now, a different type of company is moving into their vacated spaces: grocery stores. 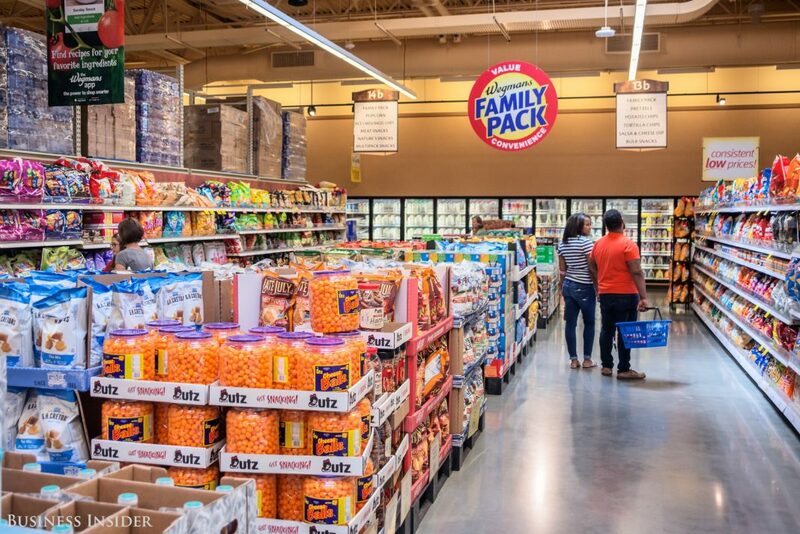 “Food retail is one thing helping struggling malls survive,” June Williamson , an architecture professor at the City College of New York and an author of “Retrofitting Suburbia,” tells Business Insider. Kroger, the nation’s largest grocer with nearly 4,000 locations, recently purchased a former Macy’s at Kingsdale Shopping Center in Upper Arlington, Ohio for $10.5 million, not long after the department store announced it would close the 45-year-old location. 365 by Whole Foods (a smaller, more economical version of the well-known chain) will open at College Mall in Bloomington, Indiana in late 2017, according to Indiana Public Media. And Wegmans Food Market is moving into a former JC Penney at the Natick Mall in Massachusetts. The shop is set to open in in 2018. The grocer decided to move into the mall because the vacant department store has a large square footage, a loading dock, high ceilings, and ample parking, Wegmans spokesperson Valerie Fox told Business Insider. The mall’s location, near a number of housing developments, is also convenient for shoppers. Wegmans already operates a location in Montgomery Mall in Pennsylvania, and plans to move into a former Sears at Landmark Center in Fenway, Massachusetts by 2019. In late 2016, the company also signed a 25-year lease as the anchor tenant at the struggling Meadow Glen Mall in Medford, Massachusetts.